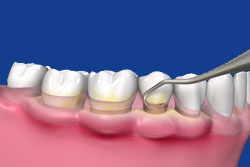 Non-surgical therapy is initiated in order to remove plaque and calculus from below the gum line. Scaling and root planning, also referred to as a deep cleaning, is one of the most common yet effective ways to treat gum disease. It is usually the first phase in treating periodontal disease. After the patient is adequately anesthetized a cavitron and hand instruments are used to clean below the gum line. 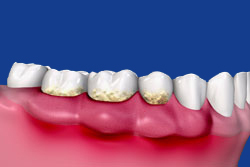 Scaling and root planning involves removing calculus (tartar) and plaque from the crown of the tooth to the root below the gum line. Typically, a local anesthetic is administered to reduce any discomfort during therapy. Instruments called curettes, scalers, and ultrasonic-scalers are used to clean the teeth and the pockets below the gum line. Once clean, the gum tissue reattaches itself to the tooth. In many cases, scaling and root planning coupled with good oral hygiene reduces periodontal disease. However, when inflammation and periodontal probing depths are not reduced to maintainable levels, surgery may be indicated. 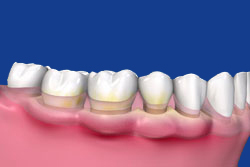 Scaling and root planning reduces the bacterial load and gives the tissue time to heal and tighten up around the teeth.